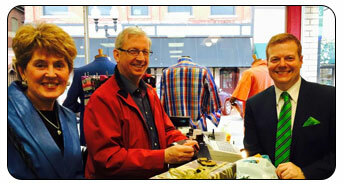 Kevin Miscik, the proprietor of Lapels, began with a vision of offering top-quality men’s fashion, custom tailoring, and personalized service to the western PA area. Since Lapels opened its doors in 2002, we have become one of the top men’s fashion locations in the state of Pennsylvania – people come from entire states away to get hold of product lines and services that just don’t exist outside of Paris, New York, and London. 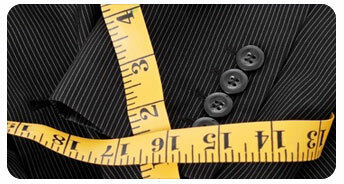 Apart from the best clothing in the area – as well as adept custom tailoring, Lapels focuses largely on personalized service. You will never be treated as a customer – every single person who comes through the doors of Lapels is a cherished friend. That’s the difference between Lapels and an ordinary clothier. We get to know you; we learn your tastes and needs, and we cater to them. You’ll never be rushed into making a purchase or viewed as just a potential sale. With over a decade of history expressing our passion for fashion, Lapels has become a men’s style staple in Greensburg and the surrounding areas. 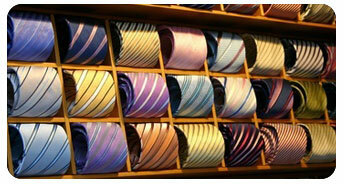 To see what makes us different for yourself, stop into our South Pennsylvania Avenue location near the courthouse! We can also be reached by phone at 724-853-7145 or by using our online contact form. Let Lapels work with you to create the look you’ve been dreaming of.